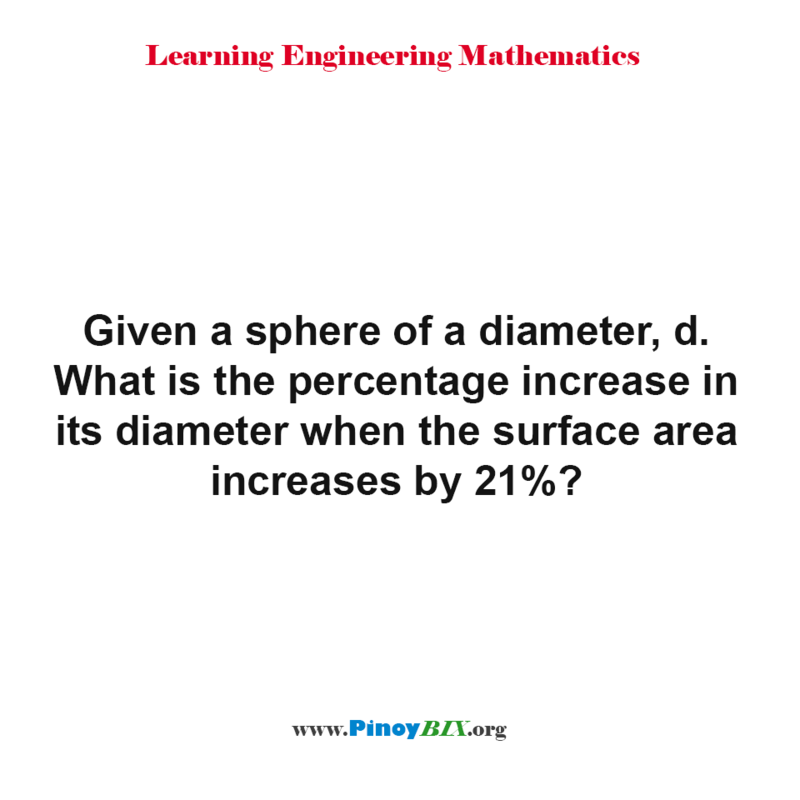 Solution: What is the percentage increase in its diameter when the surface area of a sphere increases? 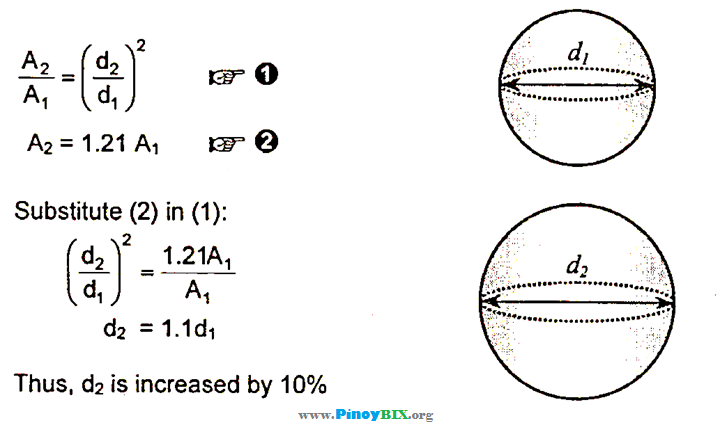 Given a sphere of a diameter, d. What is the percentage increase in its diameter when the surface area increases by 21%? The percentage increase in its diameter is 10%. Solution: What volume inside the spherical shell not occupied by the cubical block? Solution: What is the volume of water in a cubical container? Solution: At this moment, how deep is the water in the bigger tank? Solution: What is the volume of the right prism? Solution: What is the altitude of the circular cylinder? Solution: What is the volume of a frustum of a cone? Solution: What is the upper base edge of the frustum of a regular triangular pyramid? Solution: What is the base edge of a regular triangular pyramid? Solution: What is the height of a right circular cone? Solution: What is the area of the zone of a spherical segment? Solution: How many revolutions will a log make covering 1 hectare of land? Solution: What is the volume of the trapezoidal figure? Solution: What is the longest dimension of parallelepiped whose dimension is in the ratio 1:3:4? Solution: What is the depth of the water if the volume is 12 liters? Solution: What is the total surface area of a pyramid inside the cube?